SWad is an extremely basic Doom wad lump manager, written in Visual Basic. I didn't get too far with this one, the last release was 0.2 beta, before I abandoned it to begin work on SLADE, and eventually SLumpEd. The main point to it was to be able to import/export lumps without any data conversion happening, something which other lump managers at the time seemed to fail at. SLumpEd and SLADE 3 both follow this rule too - nothing is automatically converted on import/export. The source code for this is long gone unfortunately, however 0.2 beta binaries can be downloaded here. Note that it requires some VB ocx files to be registered to run. 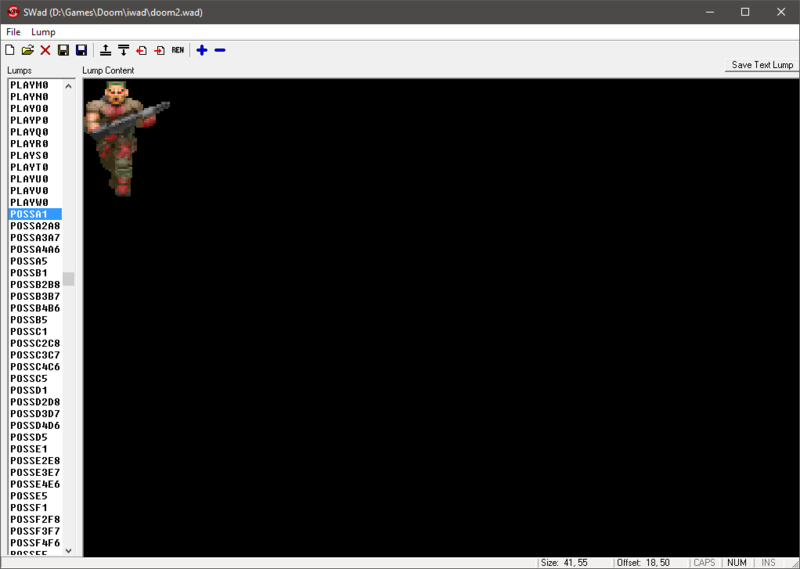 Doom Commander is a simple launcher I wrote mostly for myself, again in Visual Basic. It doesn't really do a whole lot, you just set up some executables which can then be selected from the dropdown, enter command line parameters and click Run. As with SWad, the source code was lost a while ago, though version 1.0 binaries can be downloaded here.